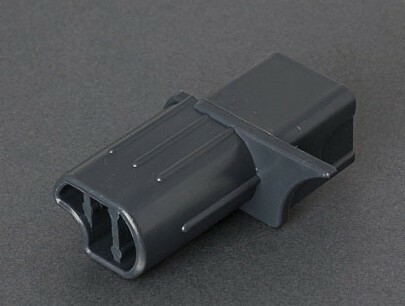 Plastic end piece for the Fiamma F45 Privacy Room Clip System 2008. Fitted to front (lead bar end) of RIGHT HAND Clip System rafter to connect the rafter to the top of the F45 awning leg. This item is from F45 Privacy Room Clip System from 2008 which tightens to roof fabric by means of screw closure. Will NOT fit Fast Clip which clamps to awning fabric with lever clamps. Note: Right side is taken when standing back and facing towards the awning and vehicle.